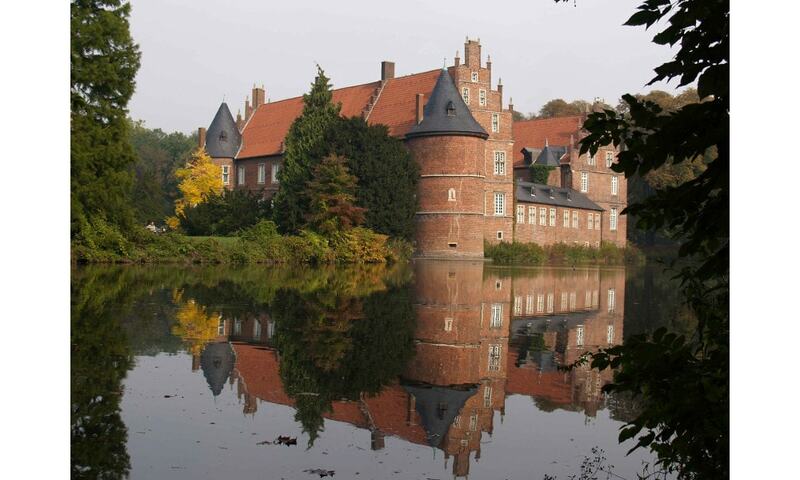 Herten Castle is located within an old English landscape garden and its first mentioning dates back to 1376. In 1962, the main castle building was declared a cultural heritage monument. Herten Castle complex consists of two parts. The main castle is a moated red brick building with round towers at three corners and crow-stepped gables. A red brick carriage house and a chapel are on a separate island in the moat to the west of the main castle. A third island in the moat to the south of the main castle was probably used as a garden. Today the castle is used as a venue for concerts, cultural events and festivities.